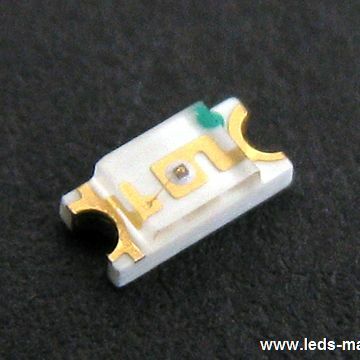 ﻿ Produce 1.10mm Height 1206 Reverse Package Chip LED , Export 1206 Infrared SMD, 3.20×1.60×1.10mm, 940nm, Supply 1.10mm Height 1206 Reverse Package Chip LED suppliers, OEM 1206 Infrared SMD, 3.20×1.60×1.10mm, 940nm. ◇ Package in 8mm tape on 7" diameter reel. a water clear plastic with flat top view lens. ◇ The device is spectrally matched with photodiode and phototransistor.